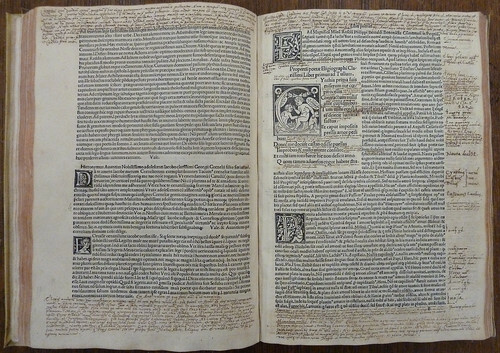 Copious contemporary ms. annotations in an incunable, a photo by Penn Provenance Project on Flickr. 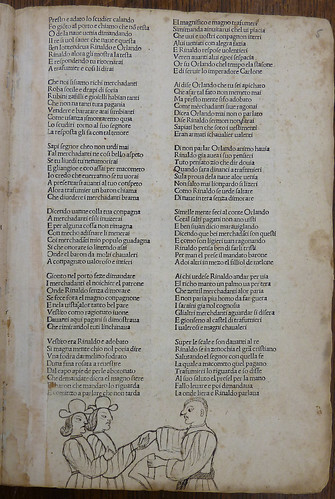 Leaves o4v and p1r of an incunable copy of the Elegiae of Tibullus and Propertius and the Carmina of Catullus (Venice: Johannes Tacuinus de Tridino, 19 May 1500; ISTC it00374000), with woodcut initials and contemporary ms. annotations in brown ink. Early ms. sketch of a male figure (in military dress, armed with a shield? ), a photo by Penn Provenance Project on Flickr. 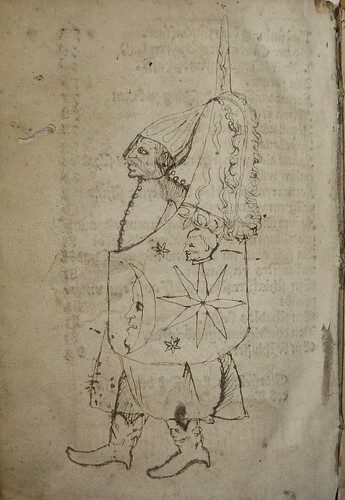 Early ms. sketch of a male figure (in military dress, armed with a shield?) on verso of last printed leaf in volume. 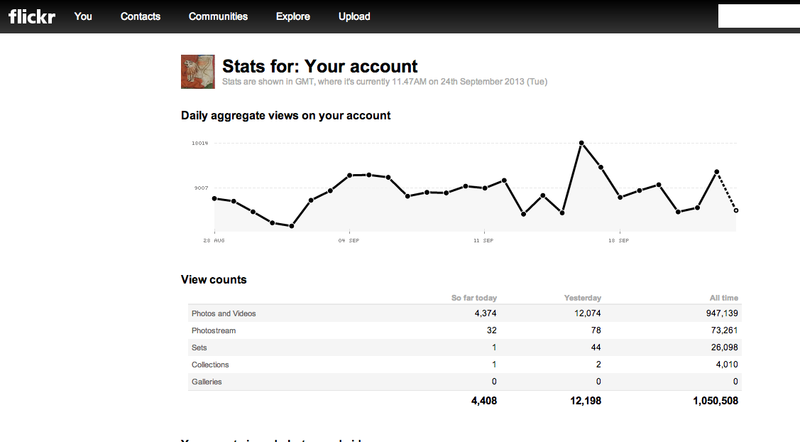 The Penn Provenance Project on Flickr has now received over 1,000,000 views!! Congratulations to everyone who struggled to read illegible inscriptions, identified bookplates and stamps and enriched Penn’s catalog records with detailed information about the former owners of our rare books. If you haven’t visited yet, come take a look at some of our sets and begin identifying! Manicules, a photo by Penn Provenance Project on Flickr. 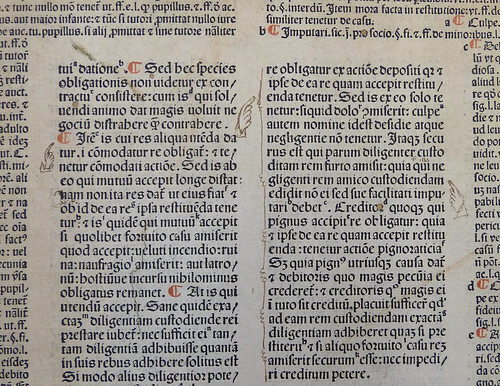 Detail of a folio paper leaf (g5, recto visible) from an incunable edition of Justinian’s Institutiones with the glossa ordinaria of Accursius (Venice: Battista Torti, 22 Dec. 1484; ISTC ij00527000), printed in red and black in double columns surrounded by gloss with a few early ms. underlines, marks and manicules in brown ink, used as binder’s waste (right board). Marginalia in the hand of grammarian and politician James Harris (1709-1780) in a 1556 edition of Aristotle’s Physics, a photo by Penn Provenance Project on Flickr. 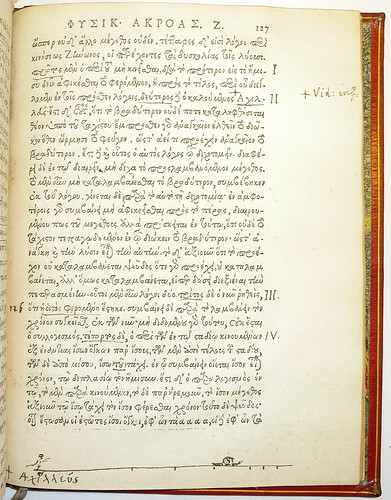 Marginalia in a 1556 edition of Aristotle’s Physics in the hand of James Harris (1709-1780), English politician, grammarian, and philosopher, best known for his work Hermes, a philosophical inquiry concerning universal grammar. His son, James Harris (1746-1820), became the 1st Earl of Malmesbury. This book became part of the library at Hurn Court, former seat of the Earls of Malmesbury, and was rebound with the Malmesbury arms on the left board. 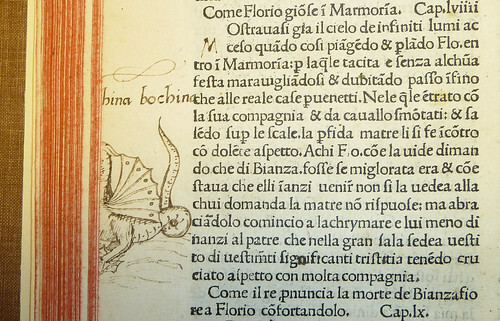 All images of books from the Hurn Court Library in the Penn Libraries collection. This post about the PennApps Hackathon is reblogged from the fantastic Apps On Tap site. I was thrilled to see that images and data from the Penn Provenance Project on Flickr are going to be used! The event sounds like great fun and I’m looking forward to learning about all of the cool apps that get developed this weekend! On Friday, September 6, the University of Pennsylvania will host PennApps, the largest student-run hackathon in the world. As part of the event, the Penn Libraries will provide work space for 200 hackathon participants in the newly renovated Special Collections Center. A $500 prize will also be awarded to the team that develops the best app using library data. The Libraries’ contribution to the data pool will include data from the Penn Provenance Project, which uses Flickr to crowd-catalog images of bindings, bookplates, labels, inscriptions and stamps of items now in Penn’s rare book collections. The possibilities for revealing useful patterns in collection building—and finding the next big thing–are virtually endless. Leaf m7v: owl[?] with caption: angela .P. Leaf n5v: bird in tree with caption: […]ametta .. 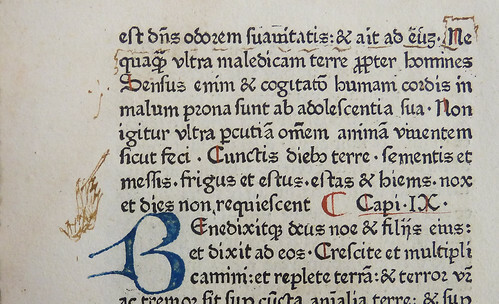 The leaves of this copy are closely cropped at all margins with damage to each sketch. A ms. table headed “T.D.T. L. SS.” appears on leaf s4v; it records the locations of the sketches (each denoted by an initial: S, R, C, and P, respectively) in order of appearance by the folio number of the facing leaf. Ms. manicule in brown ink, a photo by Penn Provenance Project on Flickr. Detail of leaf [a]6v of an incunable edition of the Bible in Latin (Nuremberg: Anton Koberger, 16 Nov. 1475; ISTC ib00543000) with rubrication and ms. manicule in brown ink. Leaf a5r of an incunable edition of Innamoramento di Carlo Magno e dei suoi paladini (Venice: Georgius Walch, 20 July 1481; ISTC ic00204000) with early ms. sketch of three male figures (two hatted and one with hat in hand), of whom two are clasping hands, a photo by Penn Provenance Project on Flickr. Leaf a5r of an incunable edition of Innamoramento di Carlo Magno e dei suoi paladini (Venice: Georgius Walch, 20 July 1481; ISTC ic00204000) with early ms. sketch of three male figures (two hatted and one with hat in hand), of whom two are clasping hands, in tail margin. 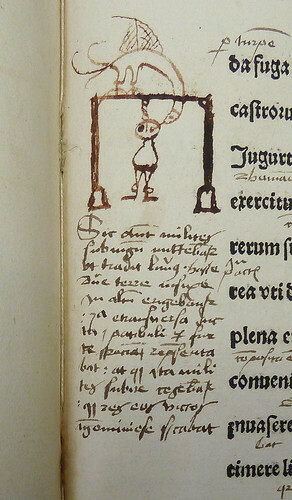 Early ms. sketch of a bird pecking at the eye of a man hanged on a gallows, a photo by Penn Provenance Project on Flickr.